Vandross has been cited as an influence on a number of other artists, including 112, Boyz II Men, D'Angelo, Hootie & the Blowfish, Jaheim, John Legend, Mint Condition, Ne-Yo, Ruben Studdard, and Usher. Stokley Williams, the lead singer of Mint Condition, has said that he has "studied Luther for such a long time because he was the epitome of perfect tone." On his influence, John Legend has said, "All us people making slow jams now, we was inspired by the slow jams Luther Vandross was making." ^ Barker, Andrew (June 3, 2014). 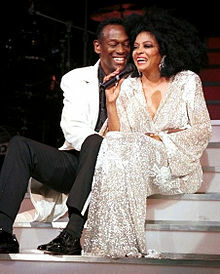 "Luther Vandross Receives Star on Walk of Fame". Variety. Retrieved September 20, 2014.